Is there a better alternative to ScreenDimmer? Is ScreenDimmer really the best app in System category? Will ScreenDimmer work good on macOS 10.13.4? 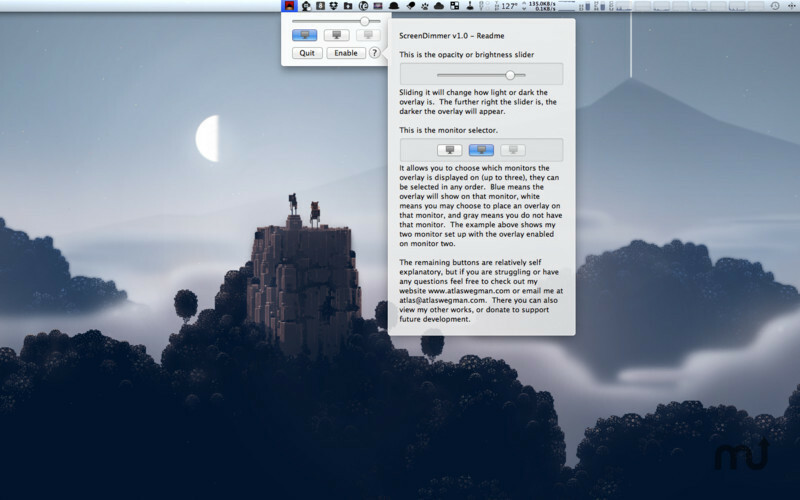 ScreenDimmer is the brightness utility OS X has been missing. 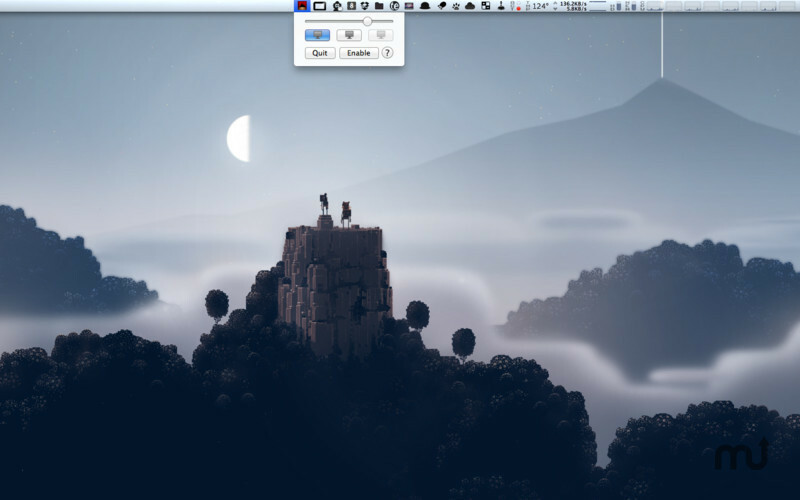 With support for multiple monitors, intuitive slider behavior, and always available key shortcuts it is a simple yet comprehensive solution to a problem many Mac users struggle with. It is capable of controlling the brightness of up to three monitors, independently of each other. It gives you complete, fine grained control over all your external displays. Configure hotkeys through the help menu. ScreenDimmer needs a rating. Be the first to rate this app and get the discussion started! Watching a movie on one monitor and want to dim the other? 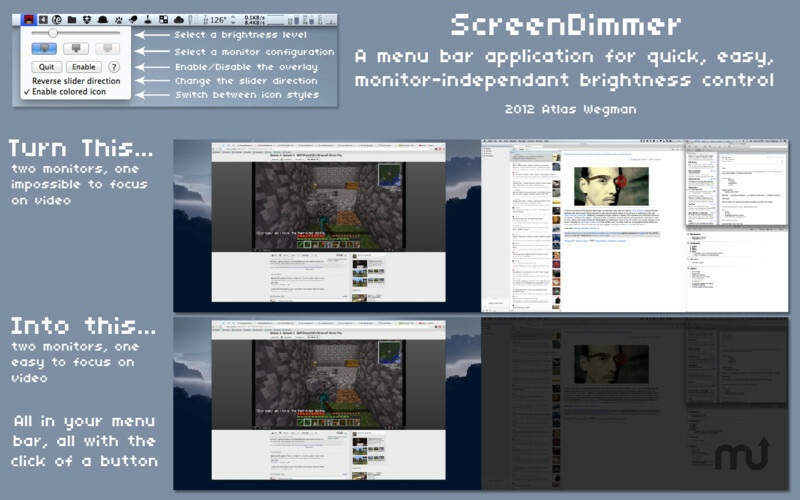 ScreenDimmer can do that. iMac screen hurting your eyes at night? ScreenDimmer can help with that too. Want to focus on your work while blocking out all other distractions? You guessed it, ScreenDimmer... An unobtrusive menubar application.